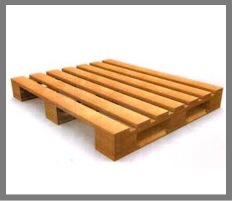 Organizations using standard pallets for loading and unloading can have much lower costs for handling and storage, with faster material movement than businesses that do not. Boxes and crates are not the same. If the sheathing of the container (plywood, lumber, etc.) 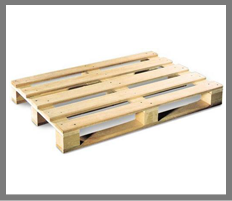 can be removed, and a framed structure will remain standing, the container would likely be termed a crate. 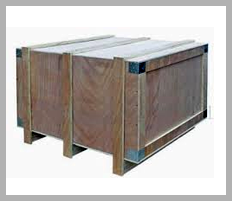 If removal of the sheathing resulted in there being no way of fastening the lumber around the edges of the container, the container would likely be termed a wooden box. 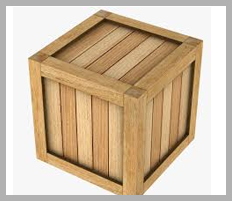 A wooden crate has a self-supporting structure, with or without sheathing. 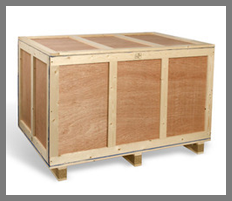 For a wooden container to be a crate, all six of its sides must be put in place to result in the rated strength of the container. 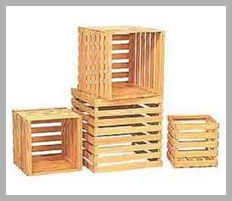 Crates are distinct from wooden boxes. 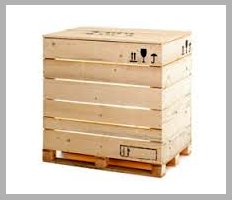 The strength of a wooden box is rated based on the weight it can carry before the top (top, ends, and sides) is installed, whereas the strength of a crate is rated with the top in place. 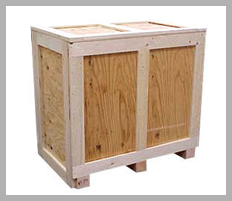 In general conversation, the term crate is sometimes used to denote a wooden box. Plywood box looks quite attractive due to its stylish colors and smooth surface finishing. These boxes are widely used for packing of light to heavy industrial products like processed foods, cosmetics, stitching machines, wine bottles, life savings drugs and many more. 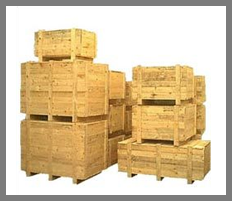 Wooden boxes made of high quality plywood sheets are extremely resistant to the high temperature levels and therefore, used for bulk shipment of industrial products. 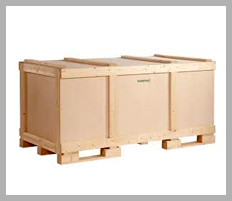 Due to superior load bearing capacity and termite resistant properties, the plywood boxes are widely used for transportation and storage of automobile accessories, plant machines, hardware components and other metal products. 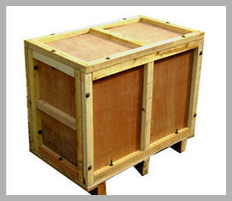 Plywood box manufacturers make plywood box in single, double or multiple columns for efficient storage of different cargo items. 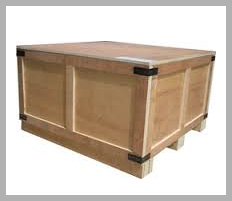 We have engaged highly skilled professionals in our company, who helps us in designing of high quality plywood boxes. Our all wooden packaging boxes are offered to the customers at market leading prices. 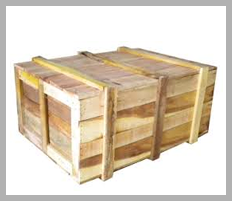 We are offering an extensive variety of Plywood Crate made up of plywood, which are mainly used for transportation over long distances. Appreciated for its sturdy design these are optimally utilized in different industries like Automobiles, Steel Industry. 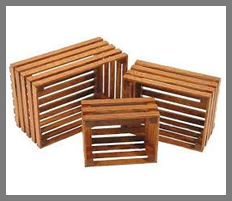 These plywood crates are available in innumerable designs and various models. 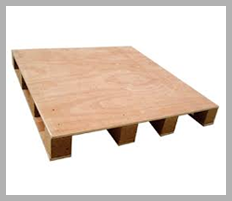 A short span of time,w e have emerged as a prominent manufacturer , exporter and supplier of a wide ambit of Plywood For Plywood Pallet. 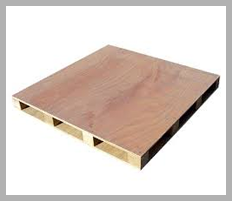 Available in different grades our range of plywood is considered to be very stable and workable type of plywood. We have made these products available for clients at industry leading price. Our range of plywood is known for features such as termite resistance, optimum strength, durable finish, and so on. 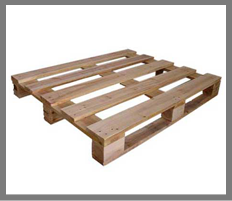 Our offered range of Plywood For Plywood Pallet finds its application in numerous sector. Nirmal Industries experienced packing teams undertake packing contracts either at the customer's site or at one of Nirmal Industries premises.